This house has everything you want and need to experience Vermont living at it&apos;s finest. 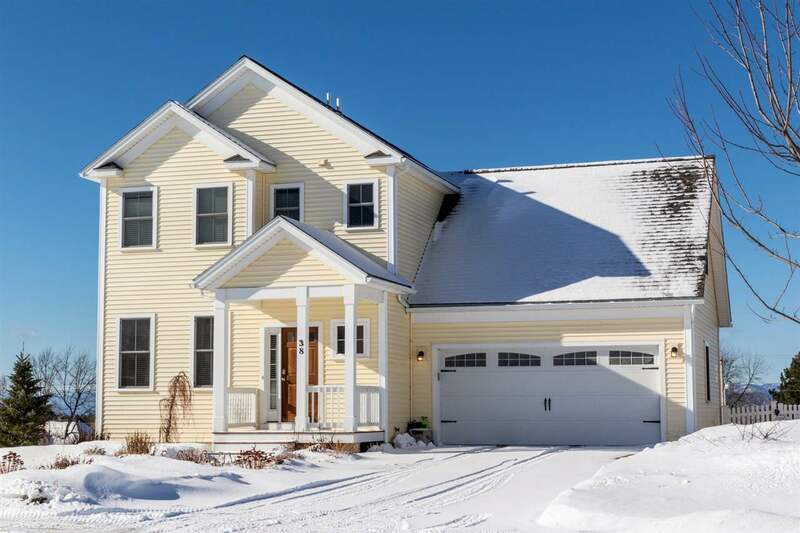 This bright and lovely home is located in South Village, Vermont&apos;s first traditional neighborhood, bringing together open spaces ( 150 acres of common land), sidewalks and a village/community setting. All within 10 minute drive to Burlington or use the Bike Path right outside your door. This house was thoughtfully designed only six years ago, with its lovely, spacious Kitchen, wood floors, gas fireplace, master bedroom suite with a walk-in closet, tiled / glass shower and windows throughout that offer incredible mountain and lake views. You will love this picturesque home in the heart of the beautiful Champlain Valley. Room 2 Dimensions: 12&apos; X 14.5"